As seen in The Washington Post, US News & World Report, and Yahoo! Get the most out of your retirement! If you're one of the millions of Americans without a pension plan, your retirement years might seem like a huge financial question mark. 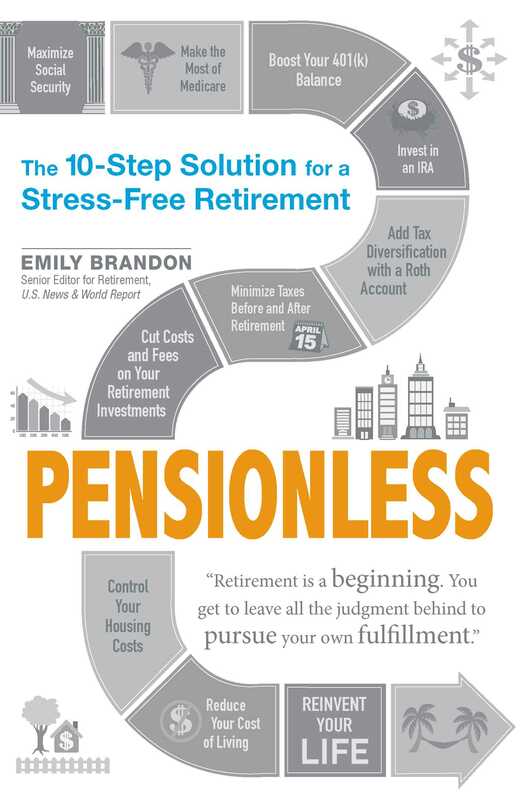 Pensionless, by U.S. News Senior Editor for Retirement Emily Brandon, addresses the retirement benefits that are available to you, how to use them correctly, and how to avoid potential pitfalls. Learn how to avoid surcharges on your Medicare benefits, how to increase Social Security and employer-sponsored benefits to help pay for retirement, and how to minimize costs and boost the value of your existing retirement benefits. And you'll learn how to tweak your lifestyle now so that you can live well in retirement without the security of a pension. Inside you'll find ideas on how to get more Social Security by claiming benefits twice, ways to minimize fees and avoid penalties on retirement accounts, and how to inflate 401(k) balances. Featuring an analysis of the significant changes made to Social Security in the recent federal budget, Pensionless will help you enjoy those retirement years you've worked so hard for. "This strategy-heavy book is sure to help a wide swath of the population prepare for and ensure their financial security. It offers a step-by-step guide for maximizing the benefits you do have and avoiding pitfalls. Brandon covers Medicare, Social Security, employer-sponsored retirement plans, and more to give readers a complete picture of how to manage their post-career finances."